The University of Notre Dame will host one of three Indiana gubernatorial debates in October. Three candidates for Indiana governor will take the stage in Notre Dame’s DeBartolo Performing Arts Center at 7 p.m. Oct. 17 (Wednesday) to debate the issues in front of a live audience. Libertarian Rupert Boneham, Democrat John Gregg and Republican Mike Pence and will answer questions submitted by Indiana residents. Questions are vetted by members of the commission, and those who submit questions may be invited to ask the candidates in person. To submit a question for the gubernatorial candidates, go to the commission’s website or visit its Facebook page. The debate will be streamed live on the Indiana Debate Commission’s website and is expected to air on Indiana public television and radio stations. This is a free but ticketed event. Tickets will be available through the DeBartolo Performing Arts Center Ticket Office beginning Monday, October 1, limit up to two tickets per person. Please visit the DeBartolo Performing Arts Ticket Office during regular Ticket Office hours, noon - 6 p.m. Monday - Friday or call (574) 631-2800. Due to this being a live broadcast, all patrons must be seated prior to 6:45 p.m., doors will open at 6:15 p.m.
Two other debates are scheduled in October: the first is Oct. 10 (Wednesday) in Zionsville, Ind., and the last is Oct. 25 (Thursday) in Fort Wayne, Ind. Both are at 7 p.m. EDT and will be streamed live. 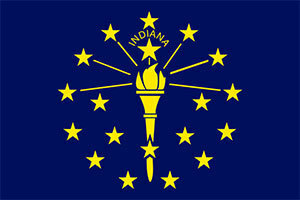 The Indiana Debate Commission is a nonpartisan, statewide group dedicated to promoting open, unbiased and transparent debates for Indiana voters.